Promotion and support of the technology sector offers great economic opportunity for Missouri. In recent years, tech growth has spread from the coastal cities, such as the San Francisco Bay Area, with which it has long been associated, to new markets across America. Missouri is well-poised to take advantage of these current trends in the tech industry. The state remains a relatively low-cost option compared to coastal cities. Kansas City and St. Louis have earned national reputations as outstanding locations for tech businesses. All the while, pockets of inspiring innovation are happening in Missouri’s mid-size cities and small communities across the state. We need to position Missouri to make the most of our growing tech economy. To explore the impact of the tech sector and its potential for Missouri, the Missouri Chamber Foundation commissioned Economic Leadership LLC to conduct a review of the tech industry. This report also provides comparisons of Missouri to other states, including tech research and development infrastructure, venture capital and entrepreneurship. The Technology 2030 Report aims to understand tech trends in Missouri and highlight areas where the state could improve its knowledge economy to be even more attractive to tech firms seeking to relocate or expand. This report is part of Missouri 2030, the Missouri Chamber’s overarching 15-year strategic initiative to make Missouri a global economic leader by the year 2030. 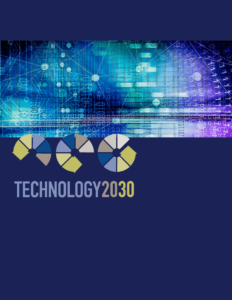 The Technology 2030 Report was released at the Technology 2030 Conference in St. Louis on March 20-21, 2019. Download the Technology 2030 Report.